A transplant patient possesses eerie knowledge of his organ donor's most intimate secret. This could change everything. Cullen's bitter disbelief in the afterlife is tested when Ennis begins to exhibit tastes and characteristics uncannily similar to those of his female organ donor—whose first name Ennis inexplicably knows. When Ennis becomes convinced that the donor's soul has inhabited him, Cullen sides with Ennis's psychiatrist, who tells Ennis he has subconsciously confused his emerging transgender personality with the imagined characteristics of his female donor. While his psychiatrist coaxes forth Ennis's female side, Cullen is summoned to the South Pacific by an old lover for a reckoning of their past. On the island paradise of Rarotonga, he is forced to confront the heartrending truth about a tragedy that destroyed their college romance—a tragedy Cullen blames on religious zealotry. Filled with resentment over what he has learned, Cullen returns to Southern California determined to shatter Ennis's delusion of ensoulment. But Ennis's eerie knowledge of his donor's greatest secret forces Cullen to consider the unimaginable: Is it possible he is witness to a verifiable incident of transmigration, tangible proof of a human soul? Or is he witness instead to the miracle of being transgender? 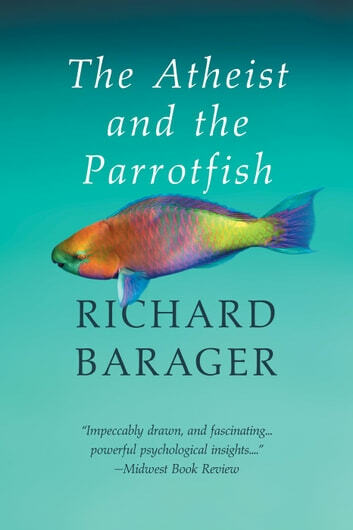 Male and female at once, the glory of one and the glory of the other, both shining—like a parrotfish, another miracle of nature, changing gender apace, beside its glorious, ever-changing hue. "As events spiral beyond [the characters'] control, readers are introduced to a questioning process that challenges them to consider the disparate paths of personal change and the possibilities of medical and religious realms intersecting in unusual ways. All these facets, especially the winding commentary on transgender identity and evidence of a soul, could easily have become confusing, especially when given an added shot of intrigue and the elements of a medical mystery; but under Barager's pen the logic of events and the evolution of personalities and new beliefs are impeccably drawn, and fascinating." This book has an interesting premise: does a heart and kidney transplant involve more than just organs? Does something of the essence/personality/soul of the deceased live on in the recipient? Even though I didn't enjoy the author's writing style, which I found very pedestrian, I kept reading to the end to see what would happen. I'm afraid that for me what could have been a fascinating and subtle exploration of spirituality and of our concepts about gender, felt like a leaden footed sermon. There were some very profound truths about some of the characters, but they were swept aside for a wholly unconvincing 'happy ending'.